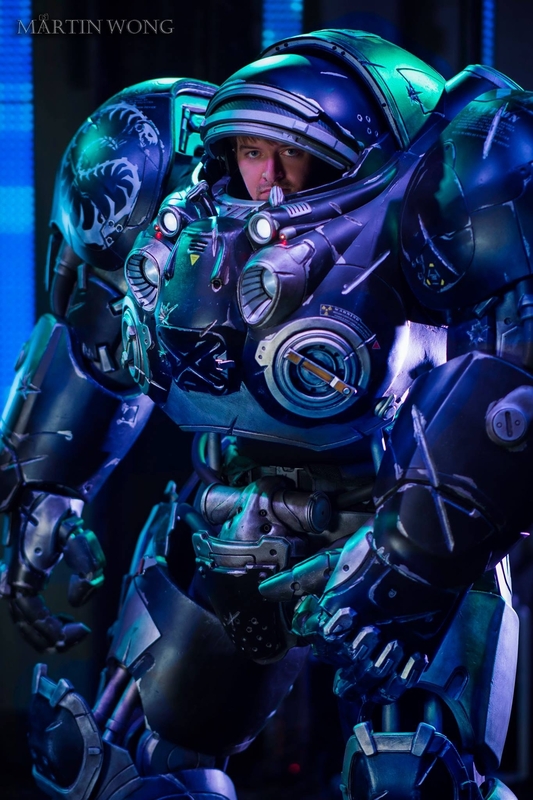 I built Raynor's signature armor from scratch over the course of 18 months. 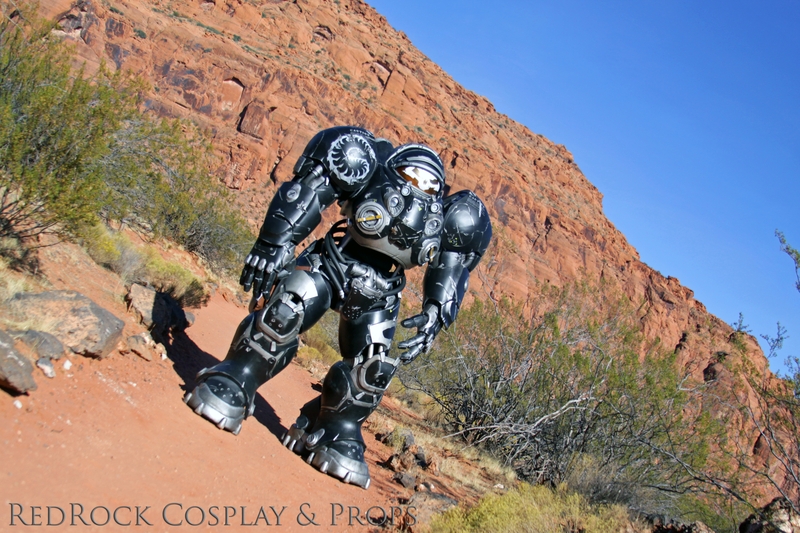 Made entirely of EVA foam and a few PVC pipes, coated in Plastidip then painted with many coats of spray paint. 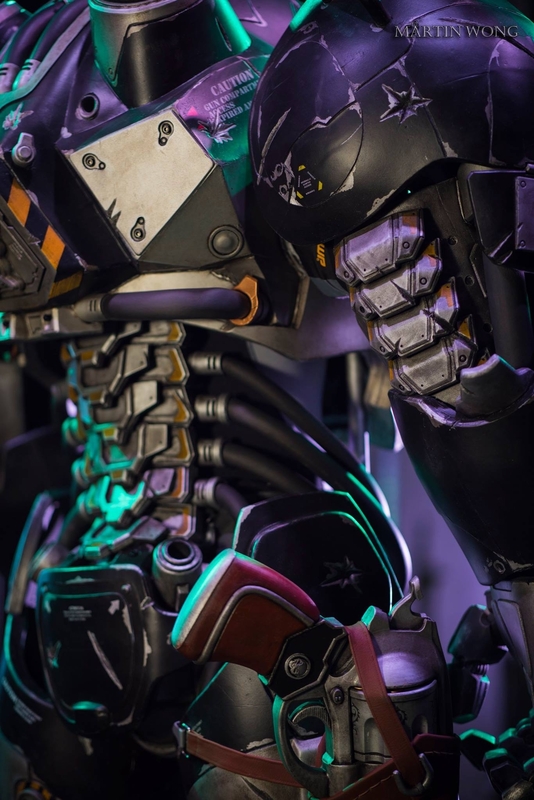 I designed and 3D printed the fully articulated fingers, added LED lighting, twin cooling fans and a fully functional dual layer helmet visor! I also modeled and 3D printed/painted Raynor's six-shooter and sewed the leather holster to top it off. It stands 7 feet tall and weighs 90 lbs!